Yi Cui received his B. Eng. and M.Eng. degrees from Southwest Jiaotong University, Chengdu, China, in 2009 and 2012, respectively, and received the Ph.D. degree in Electrical Engineering at University of Queensland, Brisbane, Australia, in 2016. 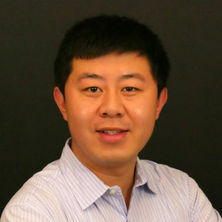 Dr. Cui has been a Research Assocaite in the Department of Electrical Engineering and Computer Science, University of Tennessee, Knoxville, USA since 2016. Currently, he is a Research Fellow in the School of Information Technology and Electrical Engineering, University of Queensland, Australia. His research interests include wide-area monitoring and control, data analytics and machine learning of distribution networks, condition assessment and fault diagnosis of power transformers. Wu, Ling, You, Shutang, Zhang, Xuemeng, Cui, Yi, Liu, Yong and Liu, Yilu (2017). Statistical analysis of the FNET/GridEye-detected inter-area oscillations in Eastern Interconnection (EI). In: 2017 IEEE Power and Energy Society General Meeting, Chicago IL, USA, (). 16-20 July 2017. Cui, Yi, Wu, Guangning, Wu, Chao and Luo, Yang (2010). Possible mechanism of electrical treeing and breakdown for polyimide nanocomposite film used in inverter-fed motor. In: Annual Report Conference on Electrical Insulation and Dielectic Phenomena (CEIDP), West Lafayette, Indiana, (). 17-20 October 2010.